Most elementals come from other planes, the Plane of Air, Earth, etc. 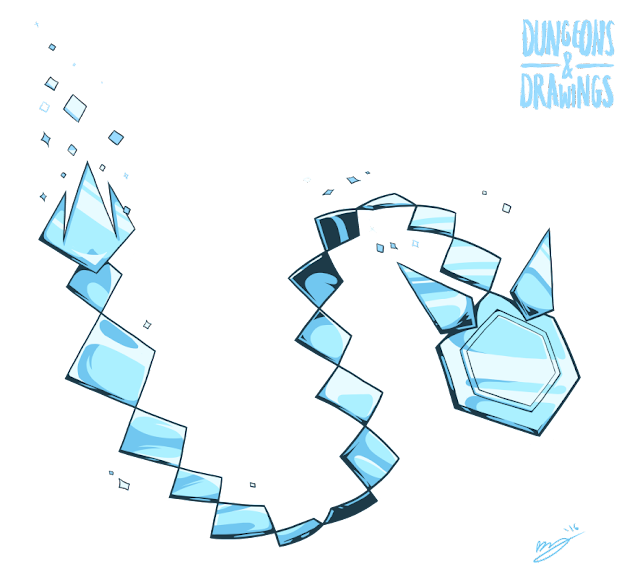 Even your typical ice elemental hails from the borders between the Plane of Air and Plane of Water. However, the orglash is not an extraplanar being, but an elemental which has naturally evolved on the Material Plane. While this may seem like not that big a deal, keep in mind that one of the most straight-forward ways to rid yourself of an elemental is to banish it to its home plane. This won't work with orglashes. 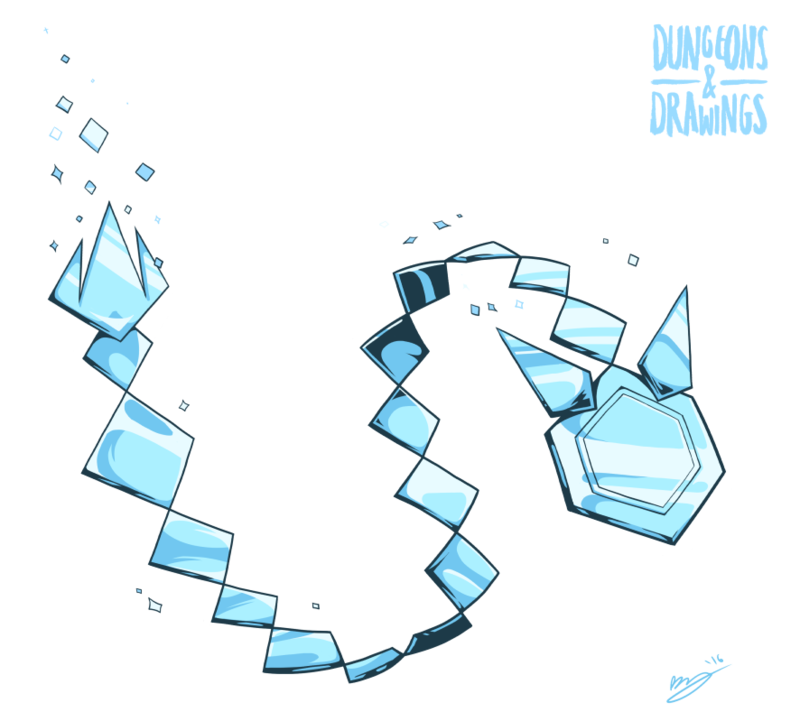 The orglash is a very territorial cold-based elemental found in the mountains and forests of Rashemen. They mostly attack outsiders, which is good for a nation which frequently suffers invasions from jerk wizards on one side (the Red Wizards of Thay) and barbarians on the other. Bad if you want to trade or are a travelling adventurers. Maybe stick to the slightly warmer roads where the orglashes don't lurk. We're gonna be at TCAF next week. Yay! If any of you out there are Canadians or Americans whats lives close to the border, come on up and buy our stuff. We've got the Dungeons & Drawings books and new postcards. Joe also has his non-Dungeons & Drawings related but still really good comics, including The Hunter, published by Nobrow. Neato!